As I mentioned, “The Siege of the Zi Charam” is a we’re-caught-in-the-middle-of-a-war storyline and it begins with the Titans being sent by the government to investigate some sort of anomaly in space. The anomaly winds up being some sort of interdimensional portal and the group (well, minus Impulse because he forgot to actually get on the spaceship) is warped halfway across the universe to the Zi Charam, a region that is currently under attack from The Protogenitors, who are a race of golden-skinned aliens with red hair. They all look very much alike and it seems that their M.O. is to go around various planets and systems and wipe everyone out. The aliens of the Zi Charam, after accepting the help of the Titans, who are basically in a “well, we’re here, we might as well be superheroes” situation, send them on a quest for the components of some sort of bio weapon, the purpose of which is unknown until part four when we learn that it’s going to sterilize the entire Protogenitor race. This, of course, is genocide and the Titans protest even though they realize they’re in the middle of a catch-22: if the aliens they’re helping don’t do something to really damage the Protogenitors, they’re going to get wiped out themselves. Eventually, the Titans come up with an alternative plan: since only the Protogenitors are actually affected by the bioweapon, they expose all of the planets of the system to the virus. This inoculates them from the virus and ensures that if the Protogenitors actually do step foot on one of the planets they will get sick. In the end, the wormhole reopens and the team returns to our solar system with Donna realizing that someone actually sent them to the Zi Charam galaxy, and we see a shadowy figure on a spaceship monologuing about how the Titans will have more challenges to come. Now, based on what happens in “Meltdown,” the shadowy figure has to do with the group’s next space adventure, although the way that shadowy figure is drawn suggests that perhaps Wolfman or editor Pat Garrahy had something else in mind–more than likely Garrahy, considering what Wolfman has said about the editor’s tendency to dictate plots and change dialogue behind the writer’s back. Furthermore, much of the crossover was co-written by Darkstars writer Michael Jan Friedman, who by then was known for writing science fiction, especially Star Trek novels. So it’s no wonder that Wolfman felt like he was a puppet and would eventually ask off the title. The team wasn’t his–he’d been handed the roster–and his relationship with DC was starting to fracture because of all of the editorial interference he was encountering. 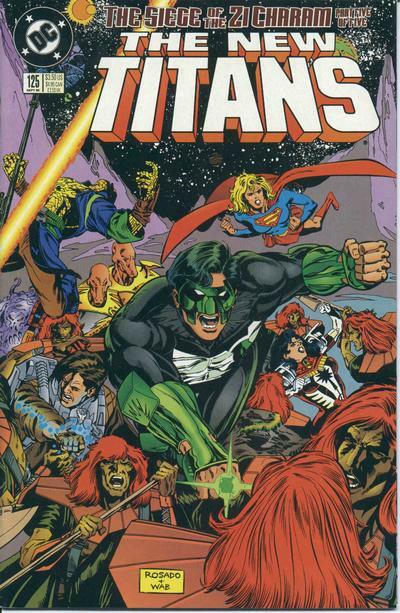 At the time, however, I thought that this version of the Titans was worth reading. Like I’ve said before, I think it was because the art had improved leaps and bounds over that of the late Bill Jaaska, so the book was easier to look at. Yes, Arsenal leading the team instead of Nightwing had a Coy and Vance feel to it, but the book also had characters like Damage, whose title I was reading at the time and enjoying; Terra and Mirage, holdovers from the Team Titans book that I sorely missed; and a romance between Kyle Rayner and Donna Troy, which would be better written in Green Lantern (until they had to break up because John Byrne ran Terry Long off a cliff and basically erased Donna’s identity). So I wanted to see this team and I wanted to see it work well, especially since I thought that the lineup change had brought some much-needed new life to my favorite comic book. But there was a marked difference between the 1986 world champion New York Mets and the 1990 we-surged-but-came-up-short New York Mets. Whatever brilliance New Titans was having in the post-Zero Hour era was a (no pun intended) Mirage, as my reread of these stories has shown. 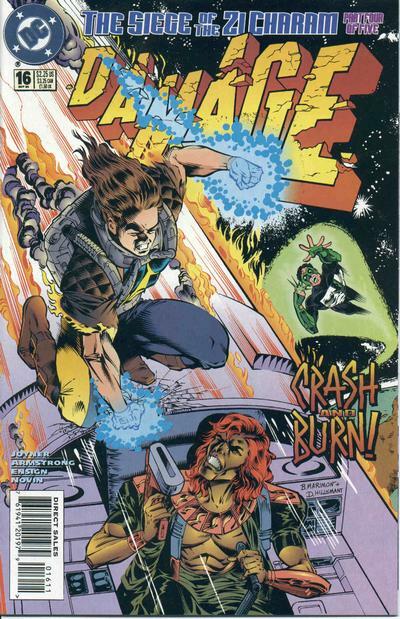 The dialogue was often clunky, some of the plots were nonsensical, and with the addition of Minion and two space-based heroes (Green Lantern and Darkstar), the book became too science fiction focused. Had the group spent a few issues taking on villains like Trident, The Brotherhood of Evil, or the Fearsome Five, I think we would have had a chance to see them as heroes and not also-rans. Heck, I think you could have brought back Godiva from the Cousin Oliver era and it might have worked. Instead, we have ridiculous Evil Raven storylines and this outer space adventure (funny enough, Meltdown, which combines the two, is actually more readable). This storyline also marks a significant moment in my life and my life as a comics fan. 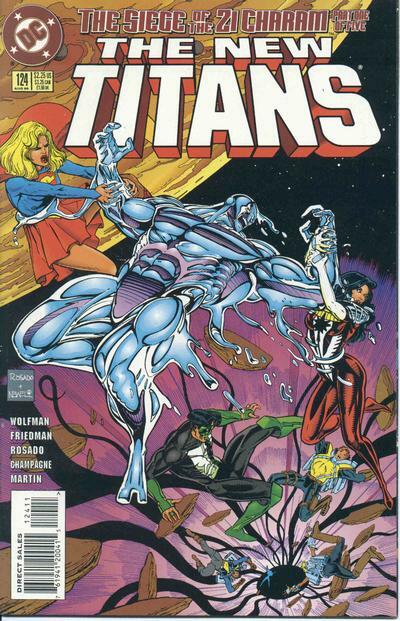 New Titans #124 came out on June 20, 1995 and New Titans #125 came out on July 18, 1995. I turned eighteen on June 23, 1995 and graduated high school two days after that, which meant that within a few months I would be heading to college. My haul from those months included Aliens/Predator: Deadliest of the Species, Damage, Detective Comics, Deathstroke, Extreme Justice, Flash, Green Lantern, New Titans, Nightwing, R.E.B.E.L.S. ’95, Robin, Spawn, and Superman/Aliens. It’s a weird hodgepodge of titles I was trying out, holding onto, or really enjoying. Some of the choices are questionable (R.E.B.E.L.S ’95?) while others went from flirting with decency to on the money. And thinking of who I was around the time I turned eighteen, it actually makes sense. I was obviously on the verge of transitioning from one stage of my life to another, and my attention was often focused on things other than my comic book collection. In fact, I’m pretty sure that I half-assed my way through much of 1995 when it came to my weekly trip to the comic store and I’m actually surprised that I didn’t stop collecting altogether. But I’d soldier on. As for “The Siege of the Zi Charam?” I half-assed reading it when it originally came out and thought it was all right. I probably was seeing the cracks in the Titans armor but was ignoring it because the art was pretty good. I barely got through it on this reread, and as I said, it’s no wonder that the book wasn’t long for this world and that my life as a teen titan was nearing its end. Next Up: Deathstroke returns to being a man of action as the series winds down.